Successfully Added HK Warehouse Gretel A7 Android Phone - MT6580 CPU, Android 6.0 OS, Dual SIM, 4.7 Inch Screen, Gorilla Glass, 2000mAh Battery to your Shopping Cart. 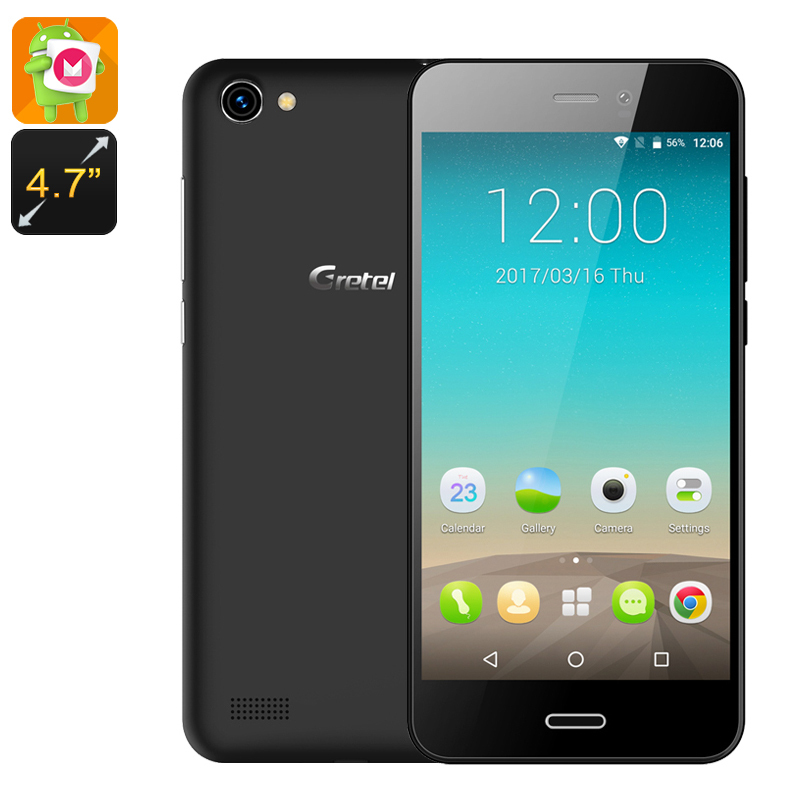 Cheap phones don't come more affordable than the 4.7 inch Gretel A7 smartphone. With an Android 6.0 OS, Quad Core CPU, HD display and Dual SIM it offers fantastic value for money and is a steal at under $50. This Gretel A7 Android Phone comes with 12 months warranty, brought to you by the leader in electronic devices as well as wholesale android phones and cell phone accessories..